The state Attorney General’s lawsuit doesn’t help improve worker safety, and it doesn’t help empty the 177 underground tanks. 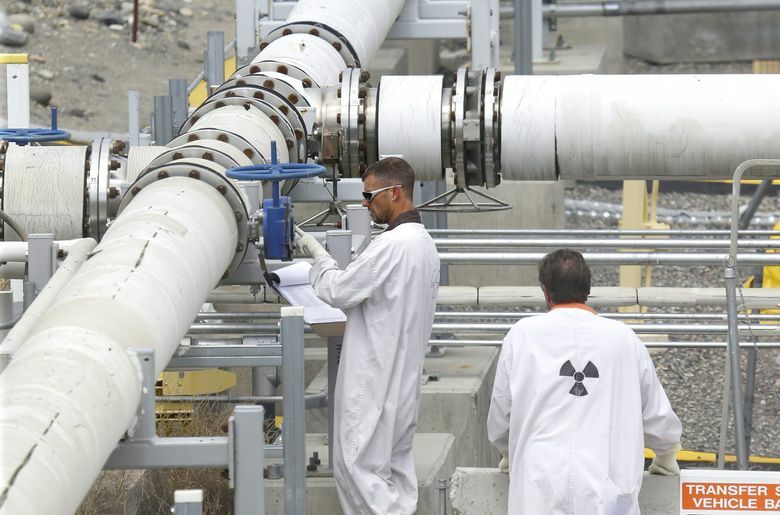 A NEW Hanford lawsuit has been filed by Washington Attorney General Bob Ferguson against the U.S. Department of Energy and one of its contractors, Washington River Protection Solutions. This litigation alleges that hazardous vapors from some of Hanford’s 177 underground storage tanks pose significant health risks to tank-farm workers. These underground tanks do contain some extremely bad stuff, and workers at the tank farms have very specialized training and specialized protective equipment to work there. The facts: Yes, during the past year, 56 Hanford workers, who all stated they had smelled vapors while working in or around the tank farms, were sent to Advanced Med (a medical services company for Hanford workers) for medical evaluations. Not a single one of these workers needed additional treatment. An extensive “Hanford tank vapor assessment” was conducted by Savannah River Labs and released October 2014. This assessment made a number of recommendations to help reduce risks to Hanford tank-farm workers. In November, the Attorney General announced it “may” file suit for the vapors issue within 90 days. In February, Washington River Protection Solutions (WRPS) publicly announced an implementation plan to meet the recommendations in the assessment. Since February, WRPS has spent a little more than $11 million to implement the report’s recommendations. This included hiring some 100 industrial hygiene workers to monitor vapors in the tank farms. More than $40 million is expected to be spent on this implementation plan in fiscal year 2016, which began Oct. 1. Gary R. Petersen is vice president of federal programs for the Tri-City Industrial Council. Questions come to mind: The Attorney General’s Office gave 90-day notice last November that it may bring suit over the vapors. If the current risk to workers were so great (“imminent and substantial endangerment,” as stated in the lawsuit), then why did the state wait another 190 days to actually bring suit? Another question: How does this lawsuit help worker safety? In just the past few weeks, I personally escorted 12 staff members from a number of congressional offices, as well as U.S. Reps. Dan Newhouse, R-Pasco, and Derek Kilmer, D-Gig Harbor, on fact-finding tours of Hanford. They went to the tank farms and were thoroughly briefed on the work being done there, as well as on the safety-implementation plans under way. These individuals seemed satisfied that both DOE and WRPS take worker health very seriously and are doing everything possible to protect workers. To me, the safety record for WRPS and tank-farm workers speaks for itself. WRPS was awarded a Voluntary Protection Program “star of excellence” award for its worker-safety performance in 2014. This is a national award granted by the Occupational Safety and Health Administration. Also, the U.S. Bureau of Labor Statistics’ national average for “total recordable cases” (TRC) throughout the industry (how many injuries per 200,000 hours worked) is 4.7 cases. WRPS’ TRC rate for FY 2015 is 0.26, 95 percent below that national average. This attorney general’s lawsuit doesn’t help improve worker safety and it doesn’t help empty the 177 underground tanks. Lawsuits only cost taxpayers more money, for both sides of this case. Perhaps Ferguson should actually visit WRPS and the Hanford tank farms. He might find reason to revisit the need for these costly and unhelpful legal shenanigans. I think we need fewer lawsuits and more leaders.